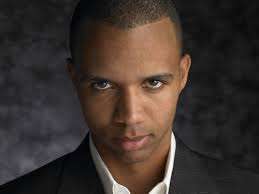 Today, counsel for the parent company for Atlantic City’s Borgata Hotel Casino & Spa, Marina District Development Co., LLC, filed its own legal response to a countersuit filed by prominent poker pro Phil Ivey two weeks ago, in the continuing legal battle over the legality of an “edge sorting” tactic used by Ivey and a sharp-eyed associate to win $9.626 million from the casino over the course of four lengthy mini-baccarat sessions in 2012. Ivey, his associate Cheng Yin Sun, and Kansas-based card manufacturer Gemaco, Inc. are all co-defendants in the action filed by the Borgata last year, which is seeking a legal avenue through which to recoup its losses. The counterclaim filed by Ivey’s and Sun’s attorneys two weeks ago alleges, among other things, that the Borgata already destroyed most of the cards used in the controversial 2012 mini-baccarat games, and that regardless of their fate, the cards that were used in those games had already been approved for use by New Jersey’s casino regulators. Today’s filing by the Borgata’s counsel, Jeremy Clausner of the Hackensack, NJ law firm Agostino & Associates, P.C., appears to acknowledge that the cards actually used in at least three of four 2012 sessions have been destroyed or otherwise disposed of, in accordance with standard casino practices and with the approval of state regulators. Casinos often sell lightly-used cards in their gift shops, give them away to patrons, or donate them to worthy causes. The exact fate of the specific decks used in the 2012 Ivey sessions appears unlikely to be determined. As for other claims made on behalf of Ivey and Sun (the cards’ maker, Gemaco, is not a party to the countersuit), the Borgata has responded to those in various ways, exonerating itself of any legal or evidentiary liability while maintaining that all the fraud that went on was done by Ivey and Sun. 1. Denies the allegations in Paragraph 1, except admits that Plaintiff purchased certain playing cards from Gemaco, Inc. before April 2012. Plaintiff further admits that there were circumstances where Gemaco, Inc. playing cards were delivered in a mis-cut fashion. 2. Denies the allegations in Paragraph 2. 3. Denies the allegations in Paragraph 3. 4. Denies the allegations in Paragraph 4. Defendants’ counterclaims fail to state a cause of action upon which relief may be granted. Defendants’ counterclaims are barred on the ground that there is no private right of action for casino patrons for alleged violations of the New Jersey’s Casino Control Act. Defendants have failed to plead fraud with particularity. There is no causal relationship between the allegations in Defendants’ counterclaims and their alleged damages.